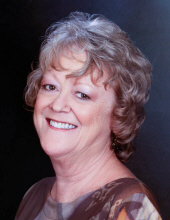 Canton - Margaret Minerva Broyles, 66, passed away on Monday, October 29, 2018 at The Homestead. A native of Haywood County, she was a daughter of Edna Margaret Rhodarmer Broyles and the late Porter Addison Broyles. Margaret was a 1970 graduate of Pisgah High School and attended Western Carolina University receiving her Bachelor's and Master's degree in education. She began her teaching career in Andrews, from there to Black Mountain Center for three years and to Erwin High School for 18 years. She was a beloved teacher for students with special needs and developed enduring relationships with all the students she taught. Margaret was an avid reader and enjoyed arts and crafts, gardening and quilting. She had a kind spirit and was a friend to all. Margaret was an individual who looked ahead to see what needs people may have and tried to fulfill those needs. She was a member of Plains United Methodist Church and was instrumental in establishing a library at the church. A memorial service will be held at 1:00 p.m. on Friday, November 9, 2018 at Plains United Methodist Church with the Reverend Zach Christy officiating. Memorials may be made to Plains United Methodist Church, 2029 Newfound Road, Canton, NC 28716 or to the American Breast Cancer Foundation, 10400 Little Patuxent Parkway, Suite 480, Columbia, MD 21044.